Creating art supports all aspects of education. Experiences with art materials will give children the ability to relate and retain more about what they are learning when reading and writing. While also helping with fine motor skills which are good for writing. Some children may not already possess an affinity for reading. Others struggle with the attention span necessary to fully attend to and acquire information from reading. Art is very helpful with these children! While working creatively with art materials, literacy skills are subtly worked in through adult help, giving these children a way to better process learning content. 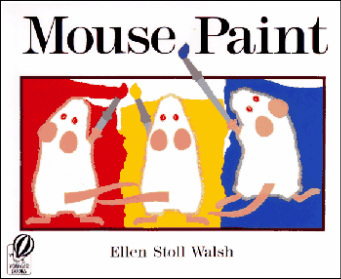 In this lesson, I will use the book Mouse Paint by Ellen Stoll Walsh to explore colors. The lesson starts with a reading of the book. From literacy, focus will be on learning color words (i.e. the letters r-e-d represent the concept of red). 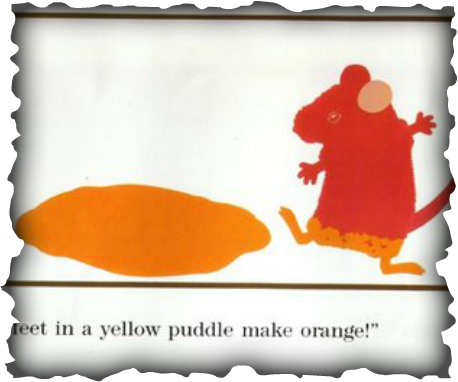 I will model how to replicate the mice’s actions in the text, to paint and mix colors. While reinforcing the joy of reading and painting, I will be most directly working on using tools for writing and drawing. Such as how the paintbrush is held and how basic marks are made. Color recognition and writing extension activities will be recommended through lesson commentary and internet links.